Since the day my daughter’s personality began to emerge she’s been anxious. She cried when anyone held her but me. She wouldn’t let me out of her sight in any environment other than our home and she often decided that even her dad couldn’t soothe her, it had to be me. Her anxiety only grew as she did. Everything had to be done a certain way and forget about leaving her with a babysitter. You know how people say, “They’ll be fine as soon as you’re gone?” That didn’t apply to my girl. She would cry herself sick before we turned out of our subdivision. The funny thing is my mum could have said all of these things about me. I remember hating everything about new people and new places: how they peeled me off my mum to put me on the bus, how the second grade teacher told my dad not to visit during the day because it triggered my separation anxiety all over again, and that hot, flushed feeling that took over every time I was the center of attention or trying something new. 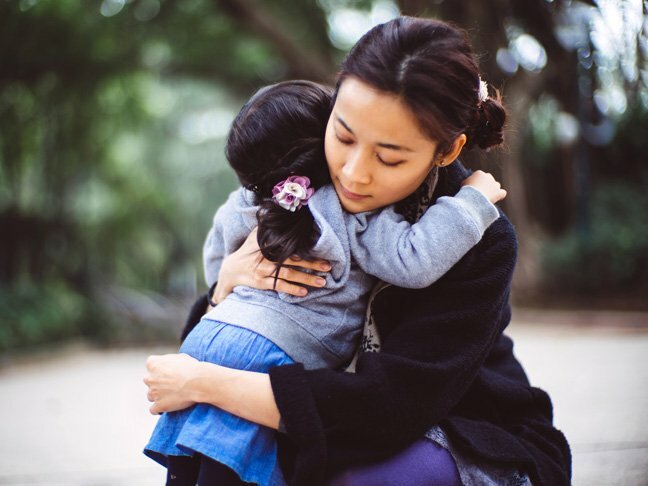 From the time I recognized my daughter’s anxiety I understood that I had a unique chance to help her through it and do much of what might have helped me as a child. I never dismissed her feelings and took her seriously at times when she was afraid instead of minimizing her feelings because she is a child. I’ve tried to read her signals and avoid situations that might make her anxiety go through the roof. I was fairly confident in my ability to understand how she was feeling and relieved I knew how to help her, but here’s the thing: I didn’t count on her needing to cope with her anxiety in a different way than I coped with mine. I thought I understood her experience, based on my own, but our experiences have been different. Although the people in my life encouraged me to come out of my shell, I coped with my anxiety by keeping to myself. As soon as I became an adult and was able to make my own choices about life my social circles got smaller. I went out less and didn’t push my anxiously drawn boundaries. I stayed in my comfort zone until the people in my life who liked to socialise pulled me out. When I did need to enter social situations I was more nervous and more awkward (if that’s possible) than I was years before. I’m not sure what happened to the somewhat social girl I was in high school and college; I had successfully turned myself into somewhat of a hermit. My daughter, however, worked through her anxiety by pushing herself. Things she was once petrified of soon became easier for her and before long, the daughter who wouldn’t let me leave her in a ballet class to run to the restroom was riding past me on a horse, not concerned with whether I was even in the room or not. The girl who wouldn’t stay with her dad so I could run to the store was spending long weekends with her grandparents at their cottage and forgetting to call home. She tried new experiences a little at a time and before long was doing big things and not looking back. I thought that my daughter needed the same cocoon I envisioned for myself, but it turns out she needed someone to show her that it’s kind of fun to come out of that shell and if you do it enough, you might just like it. Raising a daughter with anxiety as I’m still learning to deal with my own has taught me that caving into my nerves might feel nice and safe but it doesn’t offer much in the way of truly living. I could sit contently in my bubble and my daughter would probably hang out there with me for a bit, too, but then we wouldn’t experience anything new. We wouldn’t have discovered her love of animals or her talent for swimming and I wouldn’t have met the mum friends who’ve pulled me through the crazy parenting years. My daughter has taught me that honoring my feelings is important but pushing my comfort zone is, too.